Murray Raphel (1928 - 2019) built a small clothing shop in Atlantic City, NJ into a multi-million-dollar retail complex. While operating the business, he developed an expertise on direct marketing and advertising that built into a second career as an international speaker. He gave hundreds of seminars around the world on the topics of sales and marketing. For twenty years, Murray was the keynote speaker at the Food Marketing Institute's premier event and was sought after in the food industry as a marketing expert. 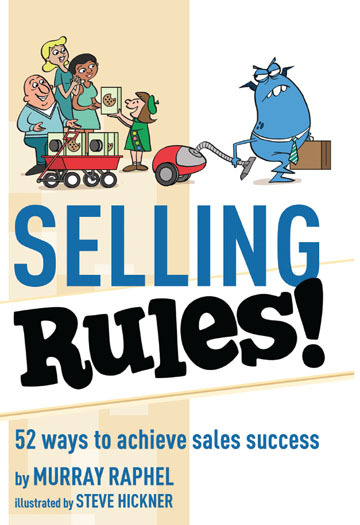 Raphel is the author of eleven books, including Selling Rules!